This CorvetteBlogger post reminds us that there will be two court hearings held, though no dates have been set. The first case will be on the NCM Foundation’s appeal of the Warren Code Enforcement Board’s unanimous decision on September 11 to undue a $100/day fine for continued noise violation. The second case will be in regards to the request to shut down NCM Motorsports Park and consider monetary damages for the residents. The post also shares WBKO’s interview with Wendell Strode, executive director of the National Corvette Museum, who tells them that the park has been working hard to comply. He points out that the noise berm has been completed, the trees have been planted, and the noise abatement has been put up. From where we stand, it looks as if the park is doing all it reasonably can, but it’s just not good enough for the residents. Some say that in today’s world many folks are just sue-happy, and will try to get a dollar at any given opportunity. On the contrary, some say that the sounds of roaring engines are annoying to listen to when in the comfort of your home. Looking at it objectively, we don’t see how this lawsuit or monetary compensation will quicken the reduction of noise, if that’s what the residents truly desire. But what do we know? Tell us your thoughts on this hoop-lah in the comment section below. Do your research before you buy your home. If you don’t like the noise, don’t buy a house next to the damn track! So, just so everyone knows, the track was built last, ie, the homes were there first. The track just opened recently. I’d like to think that the residents give NCM time to correct the issues, but that doesn’t appear to be the case, especially since there are lawyers involved from a corporation named Residents Against Motorsports Track Noise. 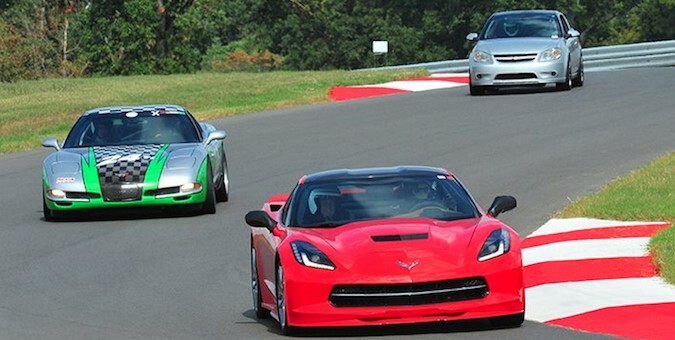 Folks of Warren County should be happy with the Corvette Museum and new motorsports park. Let’s face it warren co, you don’t have much else to look forward to seeing in your county, besides Beach Bend Raceway. They want their day in court even though the track team seems 110% willing to fix/comply…bunch of pricks. Why not offer to buy the homes of the complainers at fair market value and then rent them out to pay for them. As a little kid in the 1970s, the obnoxiously delicious crackling and hammering sounds from the dragsters and PA blasting announcer’s commentary at Fremont Drag Strip/Baylands Raceway Park were an exciting part of living in our neighborhood. Back then, nobody complained. It was an integral part of life in America and it was good. Damned good. Fireworks weren’t illegal then and most of the neighborhood participated in a lurid, booming 4th of July fireworks display that left the streets covered inches deep in blown up paper and cardboard remnants until the street sweepers came through the next day. Of the non-participants, no one called the police, not ever. The dragstrip’s been gone for years, replaced by an Auto Mall that I swear only sells foreign cars because the great Americans who built these neighborhoods are long gone, replaced by Silicon Valley droids imported from India and China who have absolutely no interest in anything American, tradition or otherwise. It seems half of the native sons who never got around to leaving this bleak place are homeless as the cost of a ramshackle 45-50 year old tract home on a dinky 5000 sq. ft. lot with a new slab of granite to spruce up the kitchen is averaging $750k. Hard to imagine these now very sad driveways were once home to brand new SS396 Chevelles and Grand Prix SJs, some even built right here in what is now the Tesla plant (props to Elon Musk for keeping those jobs here). Folks in Warren County should consider themselves lucky and embrace what little American heritage that remains. It’s disappearing fast and trust me they’ll miss it when it’s gone. Offer track time to the homes in that sound zone. The complainers can sell their homes to sports car lovers. The new owners can use the track. It’s a win-win. I live on Bethel Lane which by driving is 5 miles away. I hear the cars running from inside my home. I can not imagine living next to the track. I won’t say it isn’t disturbing at times. We have very little traffic which makes for normal peace and quiet. It’s sad to hear race cars instead of birds singing.